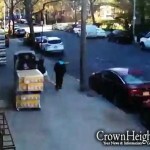 As previously published on Crownheights.info, the Jewish man was walking to Shul on 13th Avenue near 46 Street, carrying his Tallis and Tefillin. Suddenly, a vehicle screeched to a halt, the driver, Farrukh Afzal, 37, got out, and ran towards the victim. He began punching him in his face and screaming at him. The man broke free and began running, but the suspect once again assaulted him in front of TD Bank. The driver was arrested, and though originally charged with a hate crime, was ultimately changed to a road rage incident following the drivers claim of a previous incident. 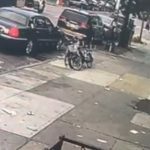 Video that surfaced the next day showed a different story, including erratic driving, an attempt to run another person over, and no prior incident. Farrukh Afzal has been given a $15,000 bail option by a Brooklyn judge. Coincidentally, the judge who presided over his hearing was Ruchie Frier, a frum Judge and leader of Ezras Nashim, the all woman first response organization. Edit: An earlier version of the article had in error that Farrukh Afzal had been let out on bail. Farrukh is still in police custody as he has been unable to post his bail. Let the anoshim deal with anoshim. She can deal with her fellow noshim. jurors are dismissed from a case where they are nogea b’dovor. this should have been here in this story too. When there’s a black victim or defendant, blacks are not allowed to be excluded from the jury, black judges do not recuse themselves, and no lawyer would ever ask one to. The same applies to yidden; just because the victim or the defendant is a Jew doesn’t disqualify Jewish jurors or judges. still is a liberal at heart. she be part of shromrim but still leans the other way! She should have recused herself. He only had to come up with $1500. 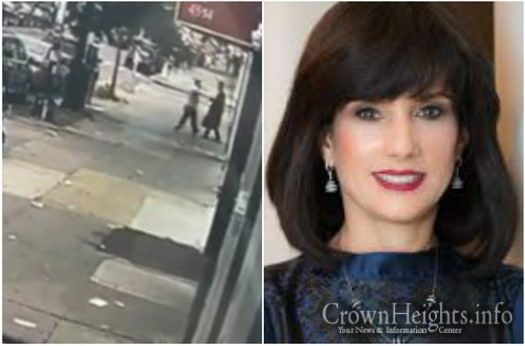 If G-d forbid he attacks someone else, Yid or Goy, it will be on HER head. This was a big mistake on her part. The criminal had a record of 8 violent incidents. She could easily have refused to grant bail. At the least she could have set a very high bail. She is a member of the Democratic party. They own her and they told her what to do. Bail is a right, not a privilege that a judge hands out as a favor. The only reason to hold a person who has not yet been found guilty of anything is to make sure he comes back for his trial. If $15,000 is enough to ensure that then no judge has the right to keep him locked up. You tell me he’s been arrested 8 times before? But how many times has he been convicted of anything? None? Then what difference does it make if he’s been arrested 80 times, or 800? An arrest doesn’t mean he did anything wrong. Bobov is a liberal Chasidus. to civil law, and not her own feelings. IF IT WAS HER FATHER, HUSBAND, BROTHER OR SON CHV WOULD SHE HAVE DEALT WITH IT THE SAME WAY? JUST ASKING. If he immediate relative were involved she would recuse herself, but she would absolutely expect whichever judge handled it to do the same thing: set a reasonable bail that will make sure the person returns for trial, no more. $15,000 is high.